For many, building decentralized applications on the Ethereum blockchain feels like they must first invent a new universe. Reflecting on scientist Carl Sagan’s quote above, Jarrad Hope, co-founder of Status, a mobile Ethereum operating system, shares his view. “A lot of the infrastructure isn’t there or it hasn’t been built out yet. Even though we have this mass adoption, consumer-facing goal at the very front, this is the tip of the iceberg in terms of what you have to actually build out to get to that point.” To get to that point, the Ethereum blockchain community has been building software tooling and applications. Users are providing use cases. The chain is storing tens-of-billions of dollars. It’s all maturing, but it’s still in its very early phases. Tools for development and debugging have evolved significantly, Nick says. From providing very basic frameworks to much more complete and easy to use ones. And there are other examples too. While tooling for the current “Ethereum 1.0” ecosystem is evolving, many protocol teams are engaged in a massive engineering race to build the new “Ethereum 2.0” sharded blockchain. It could change everything. 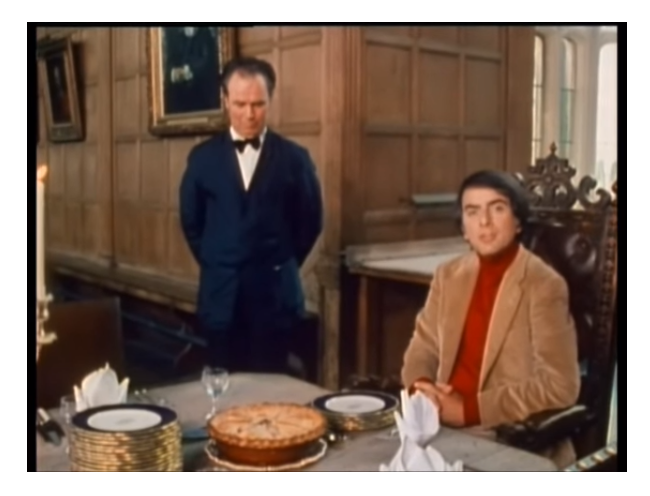 In Carl Sagan’s apple pie metaphor, developers have built a universe to bake their first pie, Ethereum 1.0. Now they need to build a whole other universe to bake an even better pie. The bakers making this new sharded universe are busy refining the recipe, throwing aspects out, bringing new aspects in, and saving ingredients for later use. There is a middle phase that the software transitions through, from always breaking to working really well. Crossing that line so that the software can be a reliable foundation to build on top of can be tricky, Piper says. While much of Ethereum’s 1.0 ecosystem tooling and software seems to have matured toward a state that is ready for production, other things are not yet ready and the protocol itself, based on Proof-of-Work, is only capable of about 15 transactions per second. This major obstacle to mass adoption has made scaling the protocol a top priority. Sharding is still in the mostly research and early protocol development phases. For Brett Sun, EVM Engineer for Aragon which provides a platform for decentralized organizations, the state of software engineering in the Ethereum ecosystem is interesting because software engineering, more broadly, is still very young as an engineering field. This is the work that has gone into building foundations. The next step, Brett says, is to make something that people can actually get value from. If the existing Ethereum 1.0 blockchain is any measure, the Ethereum 2.0 sharded universe is evolving. New engineering may be driving it, but a solid foundation has been built.